This premium quality unrefined cocoa butter, cold pressed and filtered. This delightfully aromatic cocoa butter is rich in antioxidants and has a wonderful chocolatey aroma. 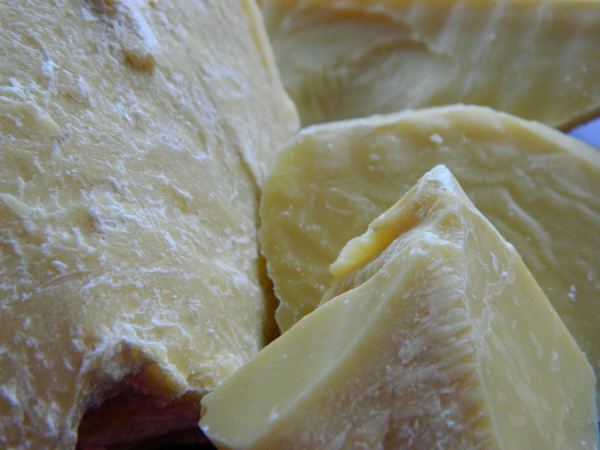 Cocoa butter has many uses in cosmetics and the scope for this lovely filtered variety, being smooth, rich, aromatic and creamy-looking, is very broad (lip balm, soap, body butters, creams, lotions and is particularly good in lip balms and lotion/massage bars).